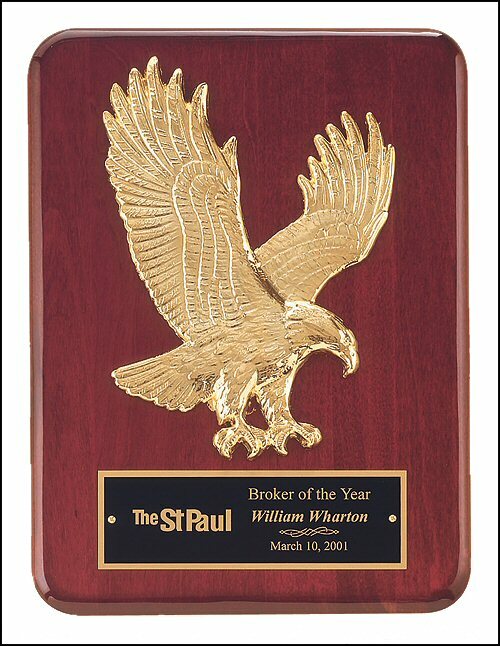 Rosewood heavy lacquer stained piano finish plaque with a goldtone finish sculptured relief eagle casting. 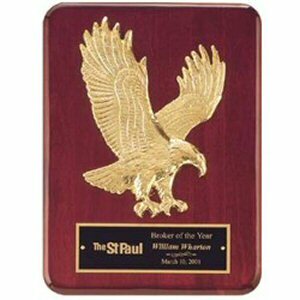 Free laser engraving, before shipping, a proof will be emailed for your approval. Individually boxed.